I have 2 separate TA accounts, and one VRBO account. 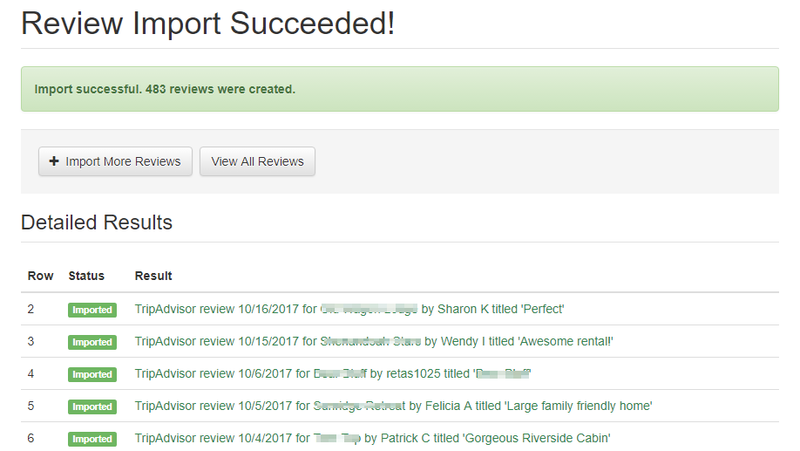 So I downloaded reviews from one TA account (for cabin #1), worked beautifully. But now how do I switch to download for the other account? Or from VRBO? When i open tools., it shows connection to 1st TA account. For anyone else wondering about that, it's based off of whatever TripAdvisor account you are currently logged into. Vacation Rental Tools is a browser extension, so it's working off of the information it has in your local browser. If you have multiple TripAdvisor accounts, you'll have to open TA in a separate tab and log out of/into the different accounts and then come back to the VRT extension to do it again. That's correct, but those are both right at the top of agenda - VRBO and Air both. We'd like to get Facebook, HomeEscape and Google My Biz reviews in as well. FB reviews may be able to be imported via OwnerRez integration since they have an open API and offer that data through the API. The others would have to be a VRT tool. We started with TripAdvisor because there tends to be a ton of history with them and reviews and they also had a clean page model we could scrape. id love vrbo and fb imports- watching for that!